We are pleased to be certified by the State of New York for our New York Defensive Driving School online. View our certification. *State fees may apply. We are confident you will like the simplicity of our defensive driving course, but want you to be your own judge. Just register above and start the first chapter - no payment needed at this point. Get full chapter credit if you decide to continue, no obligation if you don’t. We will mail your original proof of completion certificate the day after you complete the course (you should receive it within 5-7 business days) and you can download a copy from your printer within 30 minutes. Ask your insurance company which type of certificate they prefer and submit it to them. Every three years, all family members who are a principal driver of a vehicle on the insurance policy should take the NYS defensive driving course - Each driver will receive a 10% discount on the auto insurance policy. Example: Four family members with four vehicles on the policy will save 40%! Review the list of NYS DMV-Approved PIRP Providers. Choose the best online defensive driving course for you. Register for the NY State defensive driving course online as soon as possible. Take and complete the NY online defensive driving course. Complete the course at your convenience in the same day or over 30 days; it's up to you! Log back into the course 30 minutes after completing the NY defensive driving class to download and print two copies of your temporary (Insurance Copy) certificate of completion. Retain one copy for your records and submit the other copy to your insurance company to process your insurance rate discount. Please note: Your original certificate of completion will be mailed to you the very next day after you complete the course. Begin saving money on your auto insurance! Repeat every three years to renew and retain your insurance rate discount. The NY defensive driving school will electronically report your completion to the NYS DMV within 30 days so that the DMV can process your four (4) point reduction against driver license suspension (points received within the past 18 months). Take the NY defensive driving course online every 18 months for point reduction/suspended license prevention purposes. I-PIRP is an acronym for the Internet/Alternate Delivery Method Point and Insurance Reduction Program. State rules require that all I-PIRP courses are a minimum of 320 minutes of instruction time. The good news - you have 30 days to complete and can log in and out as many times as you like. The course is accessible 24/7. How much time does your course take to complete? 320 minutes. All NY DMV approved courses are at least 320 minutes long to meet requirements of the NYS DMV for the Defensive Driving program. You now have an option of completing the course online or attending a classroom with one of our certified affiliates. Each person with a New York driver license listed as a principal operator on an automobile policy must take this course in order to be eligible for a discount. Example: if a family consists of a husband, wife and a teenaged driver who own 3 automobiles, all three operators must take the course to be eligible for a discount on each automobile. Can I complete the NY Defensive Driving Course Online? Yes. We are one of very few courses that can either be completed online or in a classroom. In addition, due to our proprietary validation system, you will not be required to take a proctored exam once you are done with the course. Which means - you can do it ONLINE, 100%! Yes. The DMV requires that all I-PIRP course providers provide secure websites that protect the personal information of those who take the courses. We are the only course that is allowed to use humor to teach what can be a very dry subject. We figure if you enjoy the presentation you will learn more. Also, because of our unique technology this course is not required to administer final exams or send you for outside ID verification. Both the classroom PIRP course and the I-PIRP course have very similar content and information, and both courses include 320 minutes of instruction. The classroom course is given in one daytime session or two evening sessions. You can take the I-PIRP course from home, at a convenient time for you. You can take the I-PIRP course at your own speed within the 30-day period. Can teen drivers take the course? 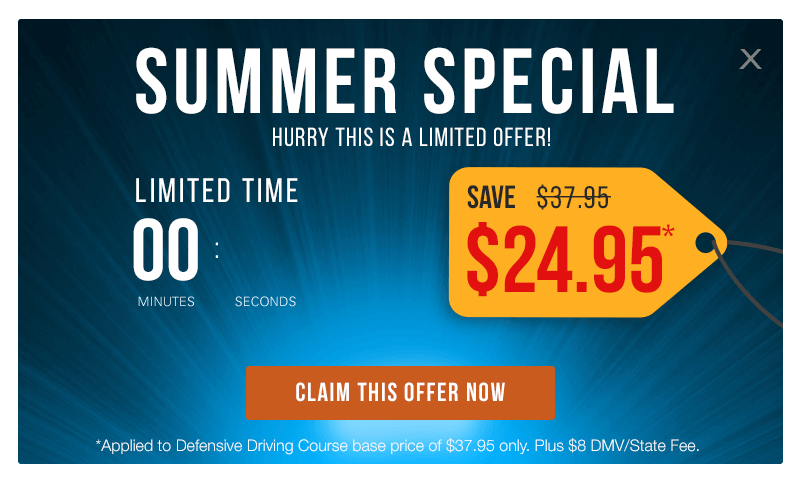 YES, this defensive Driving course saves money and increases driver's awareness. It makes an excellent gift to give to a youthful operator. 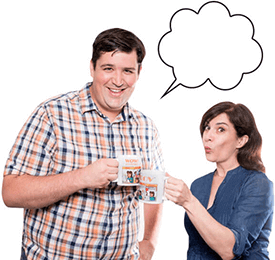 Are there tests or a final exam for our I-PIRP course? Because of our unique technology you can complete our course without any final exams. There are four simple questions at the end of each chapter and you are only required to get three right. We use a personal preference method to validate that the person who registered for the course is the same person who takes the course. Any person who attempts to defraud the system or who accepts a course completion certificate and its associated benefits without having personally completed the entire course has committed a crime and may be subject to prosecution, fines and imprisonment. How often can I take the I-PIRP course for point reduction? Every 18 months four (4) points can be reduced on your driving record and every three years for insurance reduction. How often can I take the I-PIRP course for insurance reduction? Your certificate of completion submitted to your insurance company will be valid for three (3) years of insurance rate reduction. The cost is set by the course sponsor and the fee varies from one course to another course. Your cost is stated clearly before you register for the course. It is to your advantage to compare courses and their fees. We pride ourselves on being one of the more affordable and best value courses out there. Defensive driving courses in New York State are typically called point and insurance reduction programs, or PIRP for short. These courses are meant to equip drivers with the knowledge and skills that are necessary to remain safe while behind the wheel. New York drivers who successfully complete a defensive driving course can have up to a maximum of 4 points taken off of their New York state driving records. New York state drivers who would like to participate in a defensive driving course must enroll in one that is administered by an approved classroom provider. Otherwise, they won't be eligible for the driving record point reduction. The course must be taught by a certified instructor and drivers must partake in the course's full 320 minutes. Those who would rather participate in a defensive driving course from the comfort of their homes can choose to complete an online course from an approved provider. Many favor the online option as it is available at any time of the day. Drivers can complete the coursework from any location with an Internet connection. The other benefit of the online course is that students can pause their progress at any point and resume their coursework later on when the time is right. This is ideal for individuals with hectic schedules who find it challenging to participate in a 320 minute sit-down course in a physical classroom. Those who choose to participate in the online version of New York State's defensive driving course will be required to complete it within 180 days of their initial registration. Anyone who fails to pass the course within this time period will be failed and will not receive a refund. The course also requires an up to date New York state driver's license. Drivers should also be aware that the successful completion of an approved defensive driving course will not forgive a driver responsibility assessment fee or prevent a suspension or mandatory revocation of a driver's license. Once a driver has successfully completed an approved defensive driving course NY, he/she will be eligible for a 10 percent reduction in his/her auto insurance rate for the next 3 years. New York state drivers can participate in a defensive driving course once every three years in order to continue receiving lower auto insurance premiums. Those who successfully complete the defensive driving course will also have up to 4 points removed from their New York State driving records. A certificate of completion will be mailed from the course provider within 45 days if the course was completed in a physical classroom. Those who successfully complete an approved online defensive driving course will receive the certificate within 14 business days. This certificate should be copied and presented to your auto insurer within 90 days of finishing the course. Those who don't receive their completion certificates 8 weeks after completing the course should reach out to the course administrator for assistance.